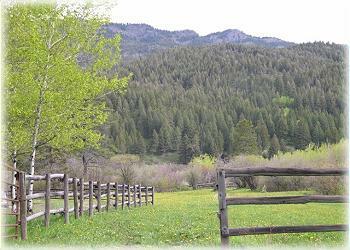 Beautiful, private forest setting up the Bridger Canyon - over 100 acres! 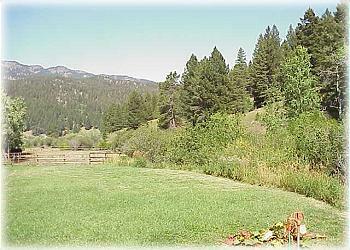 Hiking or mountain biking from your back door and skiing just minutes away! This home has wireless Internet. BRIEF DESCRIPTION: This charming two-bedroom home is nestled in a very private location on the edge of the Gallatin National Forest, with access to miles of hiking/biking/horseback riding trails and fishing on the Brackett Creek. 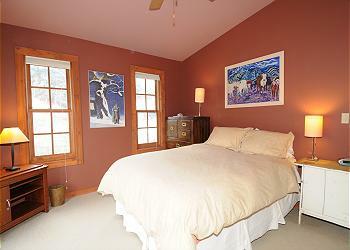 BEDROOMS AND BATHS: The home has two bedrooms and one bathroom. 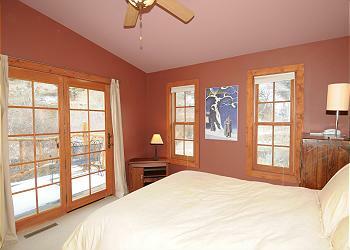 The master bedroom has a queen-size bed and french doors out to the deck. The second bedroom has a bunk bed with full-size bed on the bottom and a twin on the top. The full bathroom has a Jacuzzi tub. This home can comfortably sleep four people. 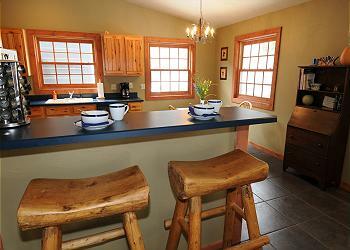 KITCHEN: The kitchen opens to the dining area and has an electric stove and dishwasher. It is fully equipped with everything you'll need! The dining table seats six and there is also stool seating at the counter. 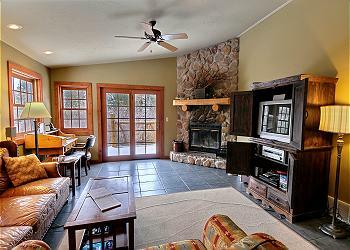 LIVING ROOM: The cozy living room has a stone fireplace and french doors to the deck. The furnishings are very tasteful, as well as comfortable. There is a TV with satellite service and a DVD player (plus lots of DVDs to watch) along with a stereo/CD player. 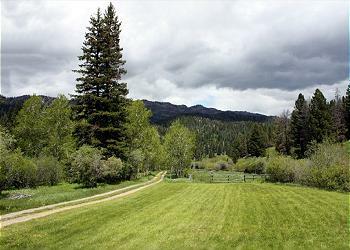 SETTING, ACREAGE, VIEWS: The home sits on 118 acres in a secluded location off Brackett Creek Road in the Bridger Mountains. 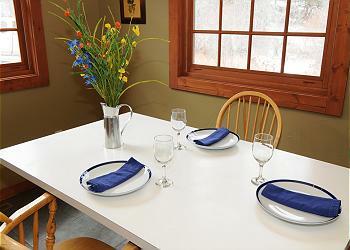 OUTDOOR AMENITIES: The home has a large deck with a picnic table, porch furniture and a gas grill. Bird and wildlife-watching opportunities abound. 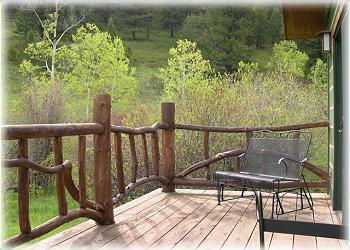 In addition, there is a porch with a wonderful found-wood railing. CLOSEST TOWN AND AIRPORT: It's about 30 miles to Livingston, 20 miles to Bozeman and 30 miles to Bozeman's Gallatin Field airport. Yellowstone National Park is an hour and a half away. ACTIVITIES NEARBY: Besides hiking and mountain biking right out your front door, there is skiing at Bridger Bowl Ski area just minutes away. 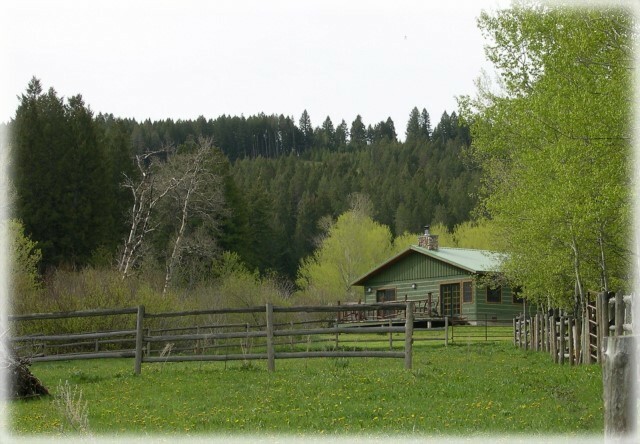 Fishing, horseback riding, golf, skiing, and more activities are available! The towns of Livingston, Gardiner and Bozeman have an amazing array of shops and restaurants as well. We stayed for three days at the Brackett Creek Cabin and absolutely loved it! I wish we had more time to spend there. It was clean and had everything we needed for our stay. We also loved that it was dog friendly as we like to bring our dog Otis with us whenever we can. We really enjoyed being able to see elk and deer right out the door, and it was nice to have land to explore without having to go anywhere. I highly recommend staying here! 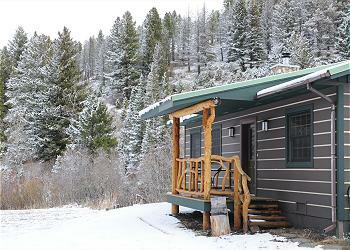 Brackett Creek Cabin is the perfect rental if you want to have privacy, want to bring your dogs on vacation, want to be on enough land you can walk right out the door and explore, and yet you're only a half-hour from Bozeman. 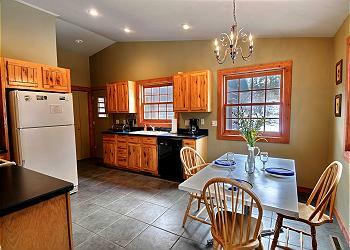 The cabin is impeccably clean, and doesn't seem like a rental. Great, fully stocked kitchen with high end appliances. We wanted for absolutely nothing during our stay. 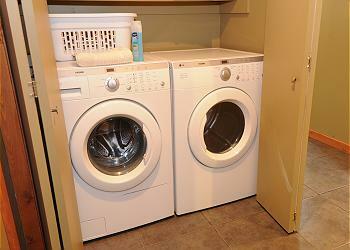 Water pressure strong in shower, and washer and dryer is also high-end and handy to have in the house. The only thing I would request is that the master bedroom is huge, and could easily accomodate a King sized bed. We would greatly appreciated as my husband is a big, tall guy. Literally the only reason we may look for another rental- to find a bigger bed. Thank you owners, and Mountain Home for a beautiful, clean cabin. We had a fantastic trip! Thank you so much for your great review of Brackett Creek Cabin and Mountain Home Vacation Rentals! We love hearing that people have enjoyed our properties! It is the goal of our office as well as the homeowner to provide a wonderful home away from home for every guest. We will definitely take in to consideration the feedback about bed size. Thank you again and we hope to have you as our guest again! Relocated from the Midwest to Bozeman, and used this property as my base station for exploring the neighborhoods and areas of Bozeman. 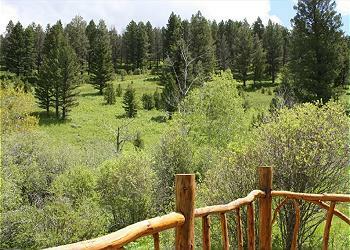 Secluded location allowed much-needed relaxation away from all the hubbub of the city. Fully-stocked kitchen meant no worries about compromising on nutritional needs. 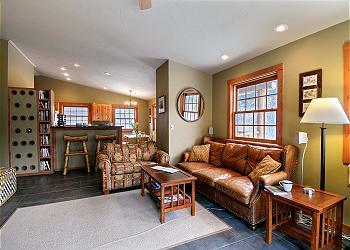 Dog-friendly property and reliable Internet access rounded out the perks I needed. 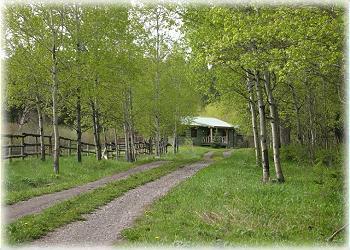 The atmosphere/vibe of the cabin and surrounding area will be a lasting memory for me, and I treasure the week I spent at Brackett Creek Cabin. Hello Charles! 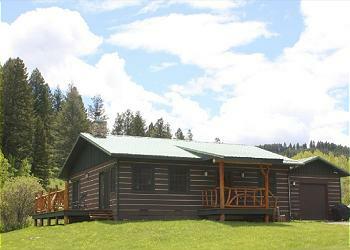 Thank you for your glowing review of Brackett Creek Cabin! We are happy you were able to use one of our properties as a base camp for exploring and getting to know the Bozeman area! 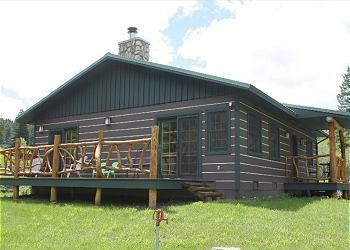 We are also glad you had everything you needed for a comfortable stay at Brackett Creek Cabin. Thanks again and we hope you are still enjoying Bozeman, Montana!